The data returned from a SpiderFoot scan will reveal a lot of information about your target, providing insight into possible data leaks, vulnerabilities or other sensitive information that can be leveraged during a penetration test, red team exercise or for threat intelligence. SpiderFoot website, Reconnaissance. Threat Intelligence. Perimeter Monitoring. 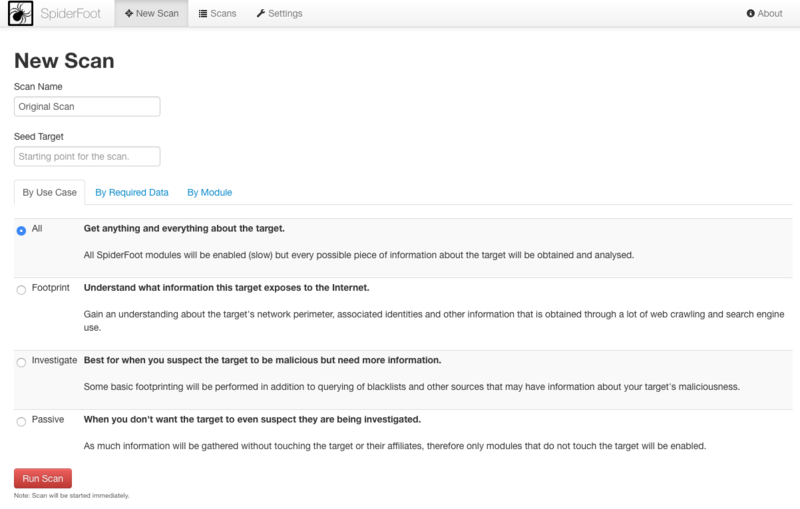 SpiderFoot automates OSINT to find out everything possible about your target. 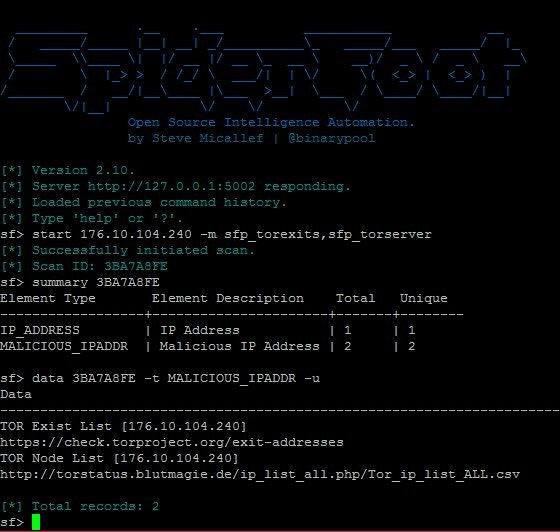 The SpiderFoot code can be found on Steve Micallef's Github project page. The easiest way to get SpiderFoot running is using Docker. Instructions can be found on the SpiderFoot Blog. SpiderFoot has both a web interface and a cli option.